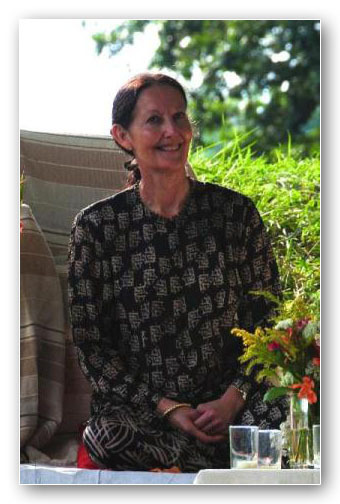 Dr Linda Spedding is one of the few lawyers qualified in three jurisdictions: England and Wales (1975), USA (1985) and India (1989). See www.lindaspedding.co.uk. Dr Spedding’s experience encompasses constitutional law, European law, copyright law, corporate advice, due diligence and corporate governance, joint ventures, Reputation Risk management, project finance, drafting contracts and agreements, consultancy agreements and technology transfer. Based in London, she specialises as an independent legal adviser in international law. She has advised on sustainability, including environmental and energy policies, CSR and corporate responsibility over many years to enable organisations to integrate these concepts to improve performance within the organisations and achieve a sound reputation. This has included drafting policies on preventing economic crime and other risk management priorities in today’s technology driven world. Dr. Spedding has extensive experience in and knowledge of international and comparative developed and developing regulatory regimes. She has assisted with particular regulatory drafting needs, as well as implementation and enforcement aspects in various jurisdictions. For many years Dr Spedding has been concerned with key aspects of gender empowerment and fairness and founded women in law and women in law international with this in mind and to offer a platform for this debate, as well as to make positive change internationally. Her participation in this debate has enabled a unique understanding of the issues and concerns in differing jurisdictions and she is passionate about enabling individuals to realise their potential as far as possible through positive action and collaboration. Having qualified as one of the youngest female English solicitors she has always considered it to be a privilege to serve as a member of the legal profession and to contribute to the development of the law and the way in which lawyers practice. In particular legal practice, the exchange of information in different jurisdictions and the comparison of professional issues have been of interest to her. need for life work balance in the practice of the law. Bearing in mind the trend in favour of increasing numbers of female entrants into the profession and vast scope of legal and related services globally this initiative is very important. Dr Spedding has been concerned with developments in the law and the legal profession since she qualified in 1975 (becoming a member of the Law Society in 1976). Her doctorate (1984) was entitled “Freedom of Movement of the Legal Profession” and addresses the rights to practice as a lawyer on a temporary (services) or permanent (establishment) basis in different jurisdictions in the European Community (EEC). Her interest in this area continued through her practical experience of working in the Legal Service of the European Commission in Brussels, as well as with – or consultant to – law firms in the UK, USA, India and many other jurisdictions. She remains an adviser to both public and private sector organisations, including law firms, and has extensive international experience in the not for profit sector. Her first book, “Transnational Legal Practice in the EEC and the USA” published in 1987, has become a primary reference source on the subject of transnational legal practice. Following her qualification in India in 1989 she produced a loose leaf practice service “International Professional Practice” that assessed and compared the rights of practice in multiple jurisdictions throughout the world. Dr Spedding has always been concerned with equal opportunity for members of the legal profession regardless of origin, race, belief, age or gender. Her core belief or value is that the individual should be allowed every opportunity to realise their potential as far as possible.